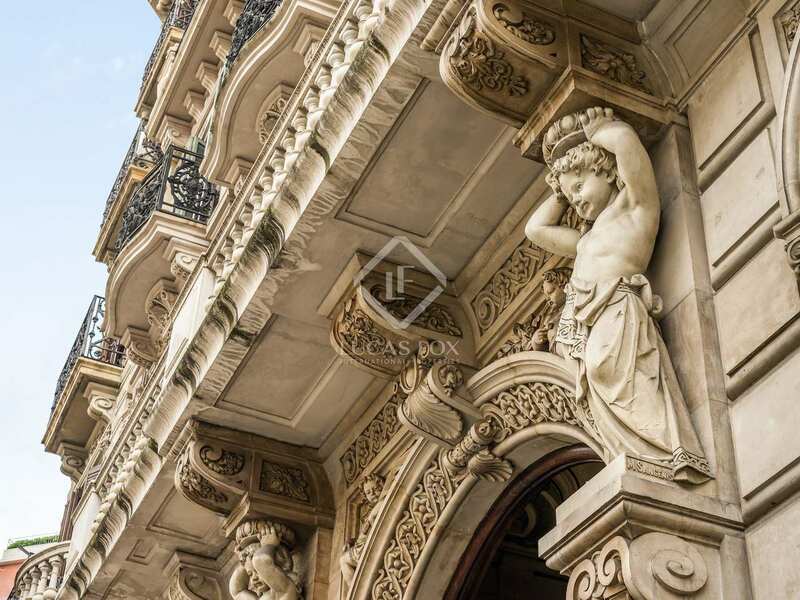 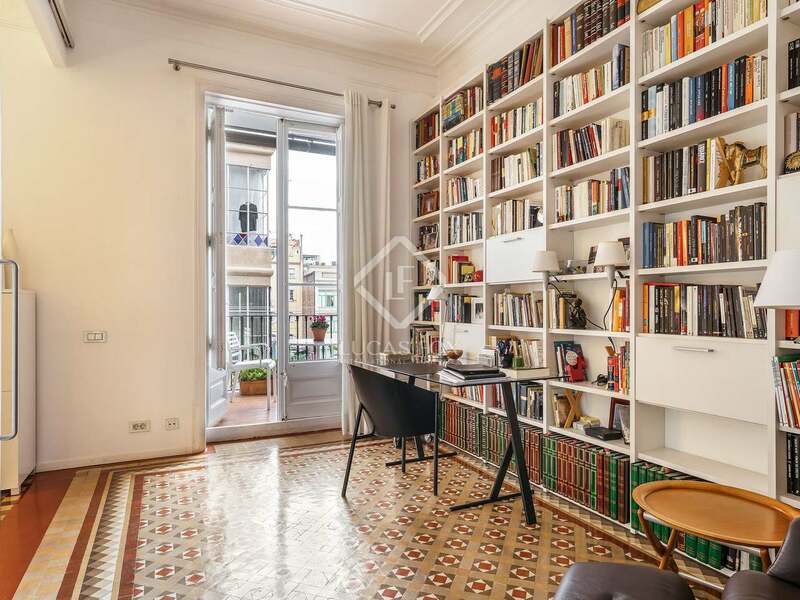 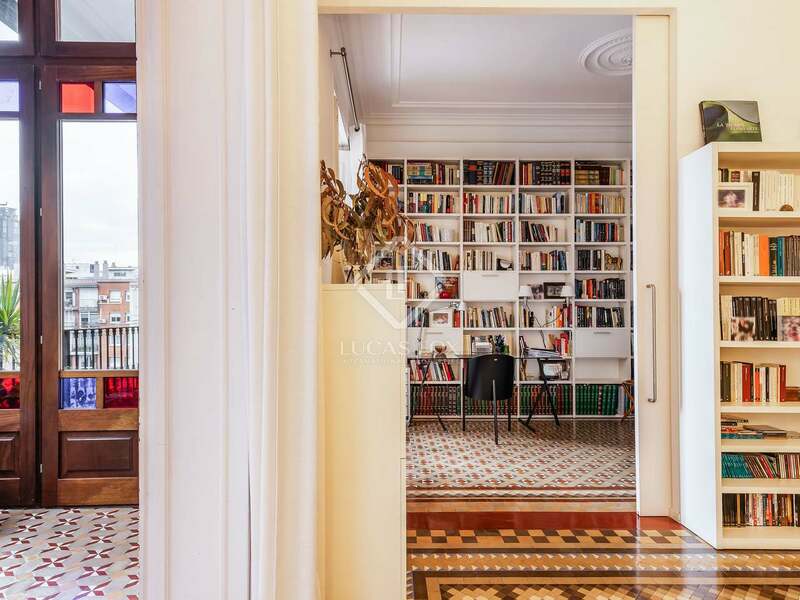 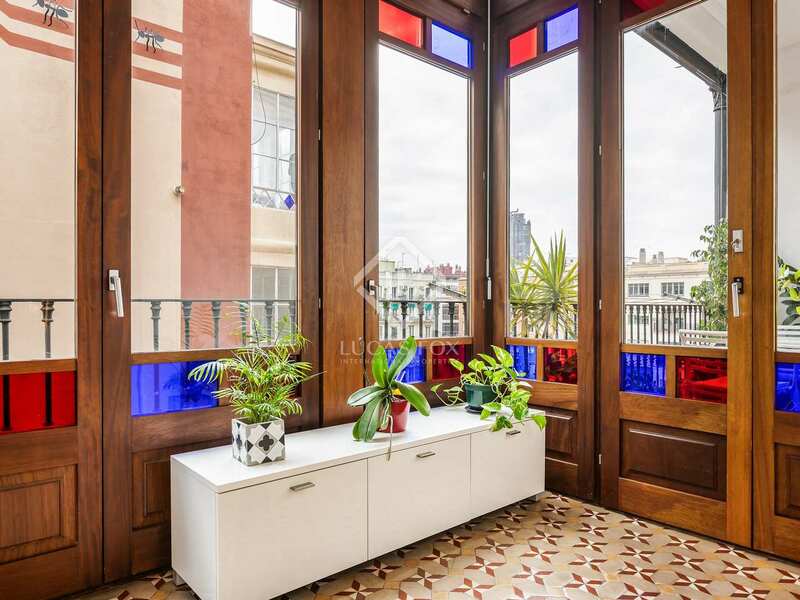 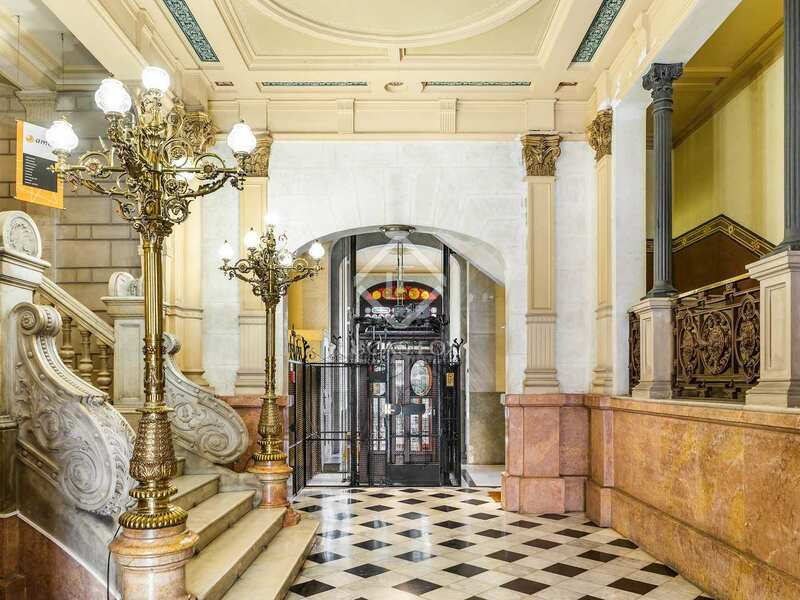 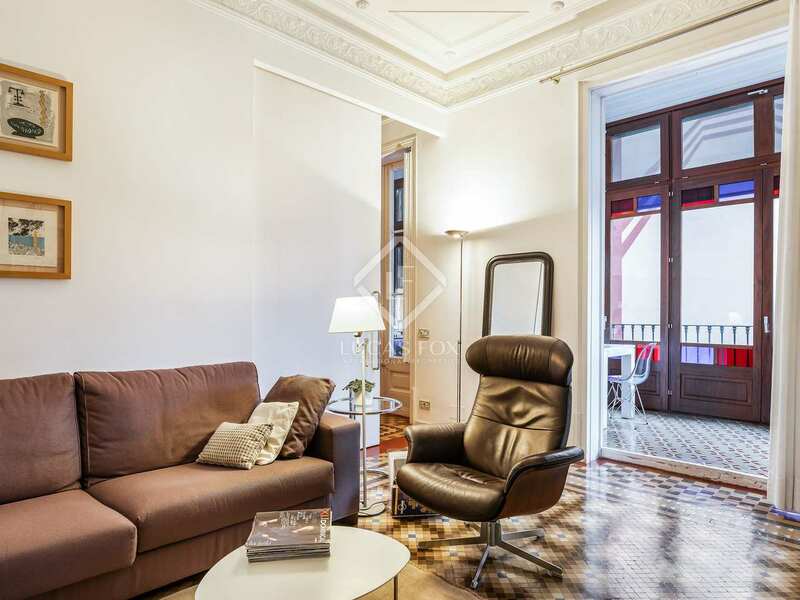 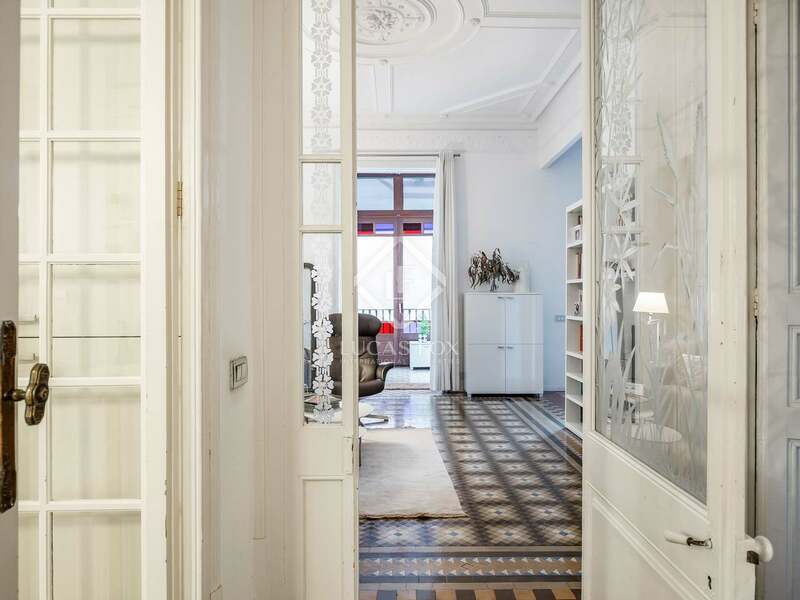 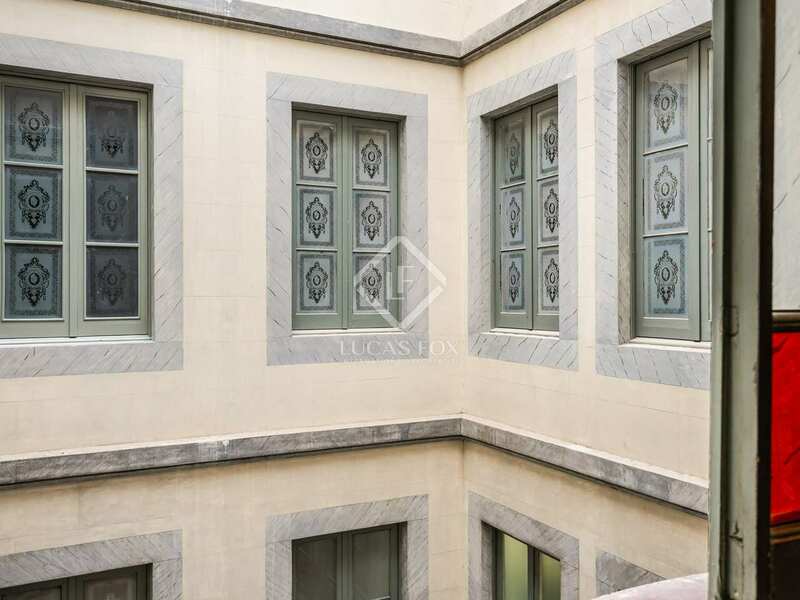 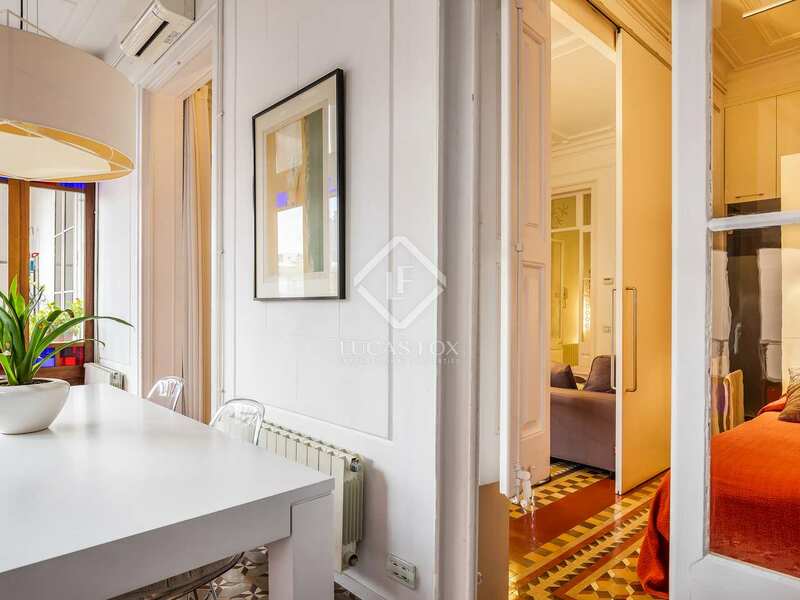 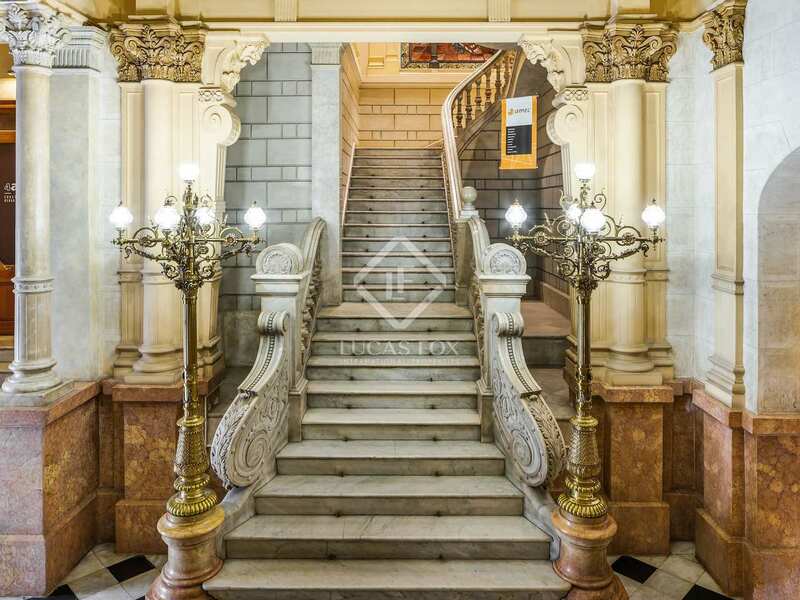 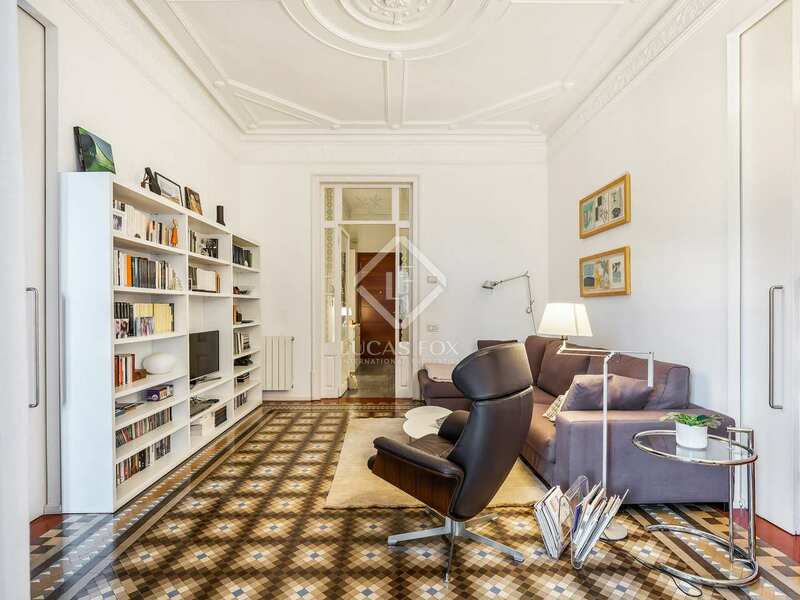 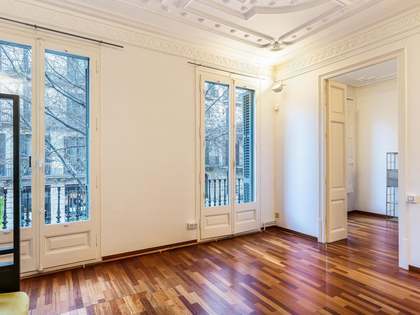 Beautiful apartment with period features and a stunning gallery for sale in a listed building in Barcelona's Golden Square. 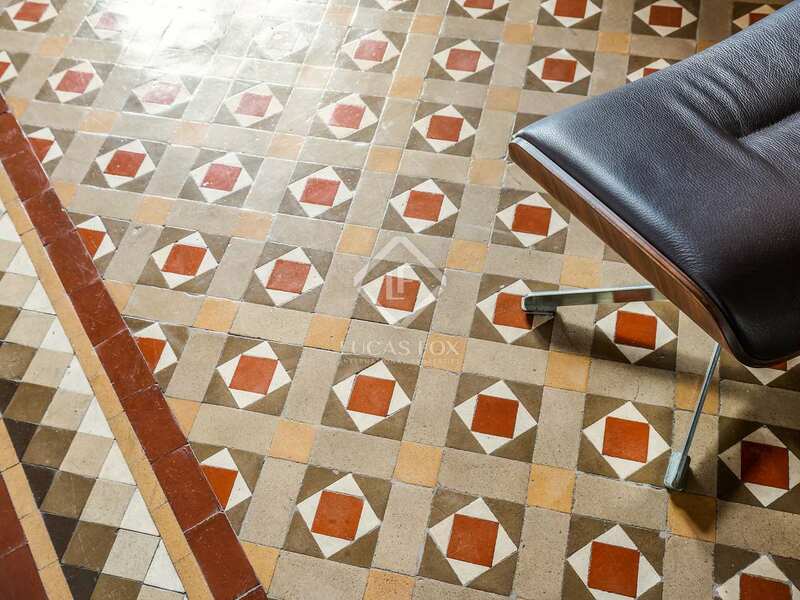 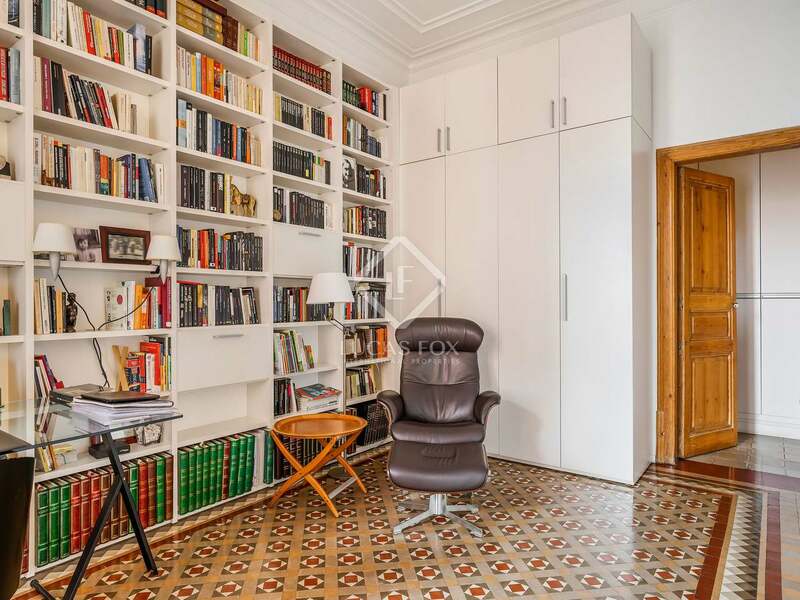 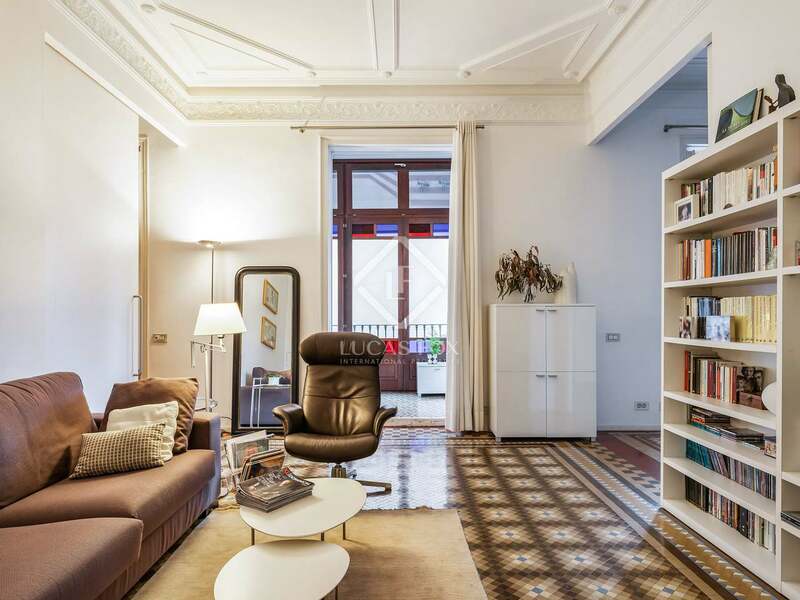 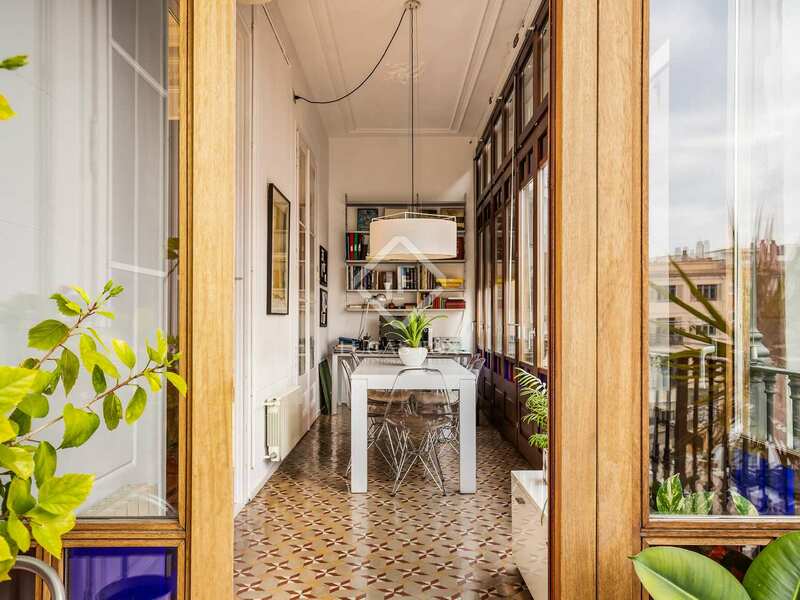 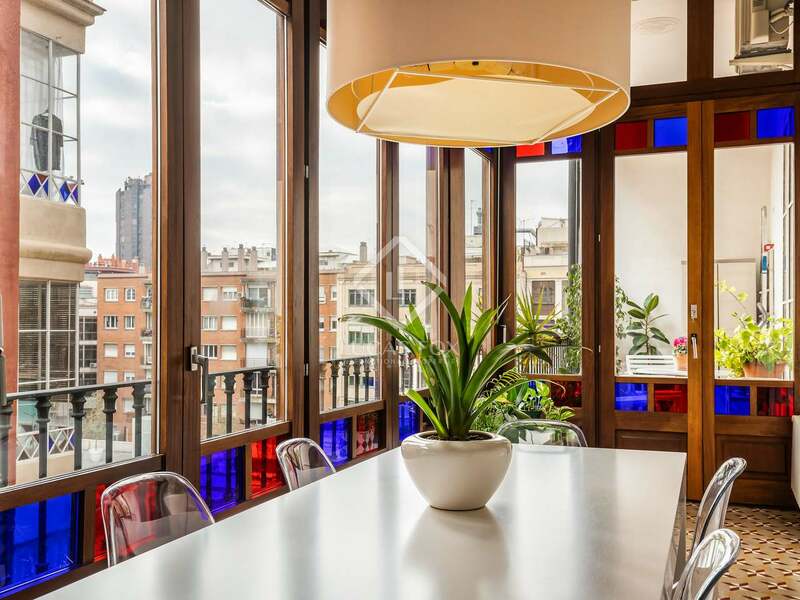 This apartment is located in Barcelona's emblematic Casa Maria Robert, a listed building dating back to the end of the 19th century designed by the architect Salvador Viñals. 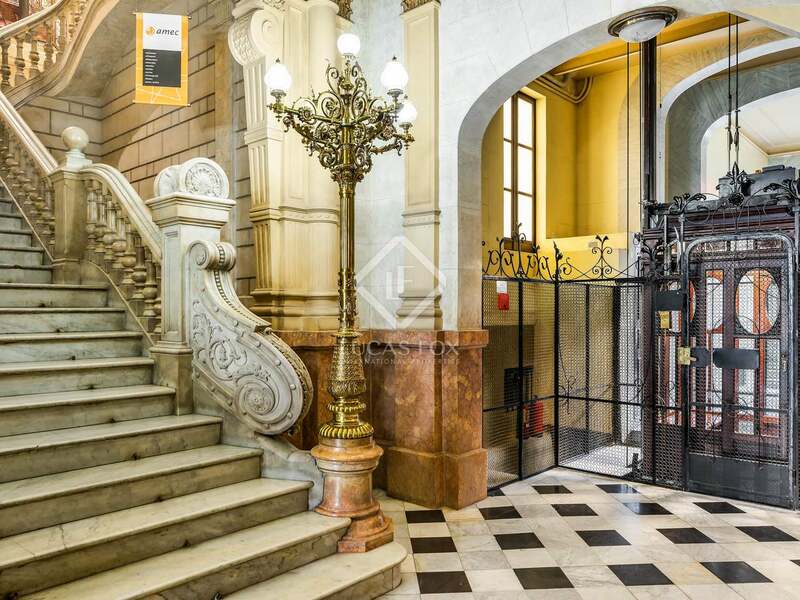 We are welcomed into the building, which is in excellent condition, by a spectacular entrance with a majestic staircases and a modernist elevator. 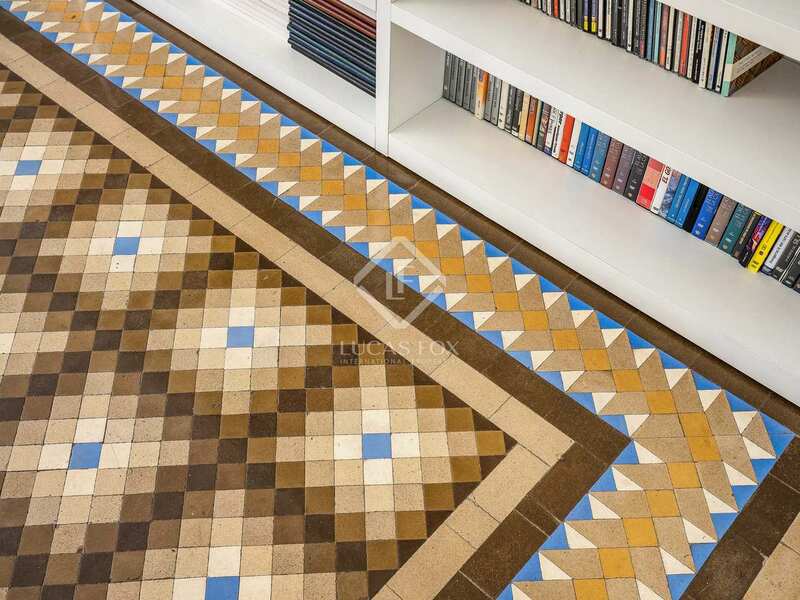 The apartment itself was renovated a few years ago and is in very good condition, with beautifully preserved original features, such as hydraulic tiled flooring, which add character to this city centre home. 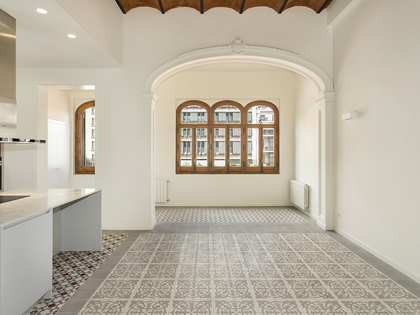 The house has a functional square layout. 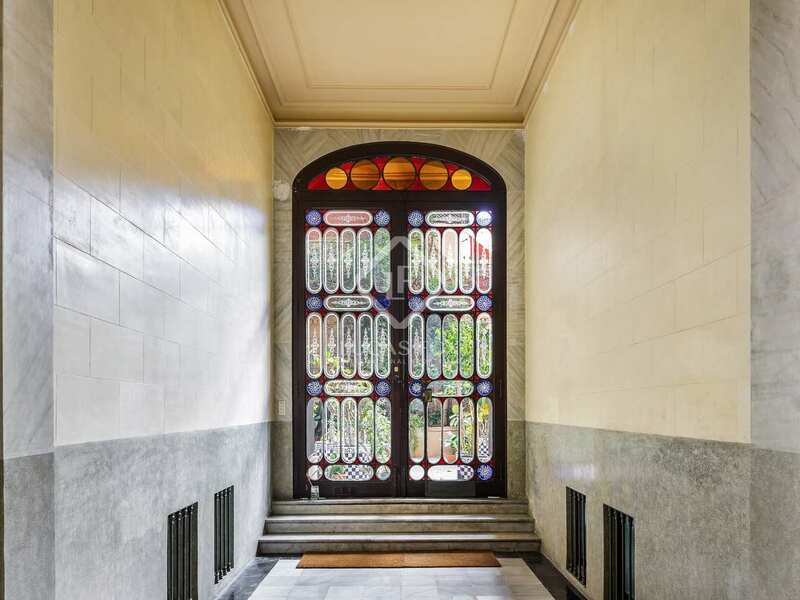 From the entrance hall we access the kitchen and the bathroom. 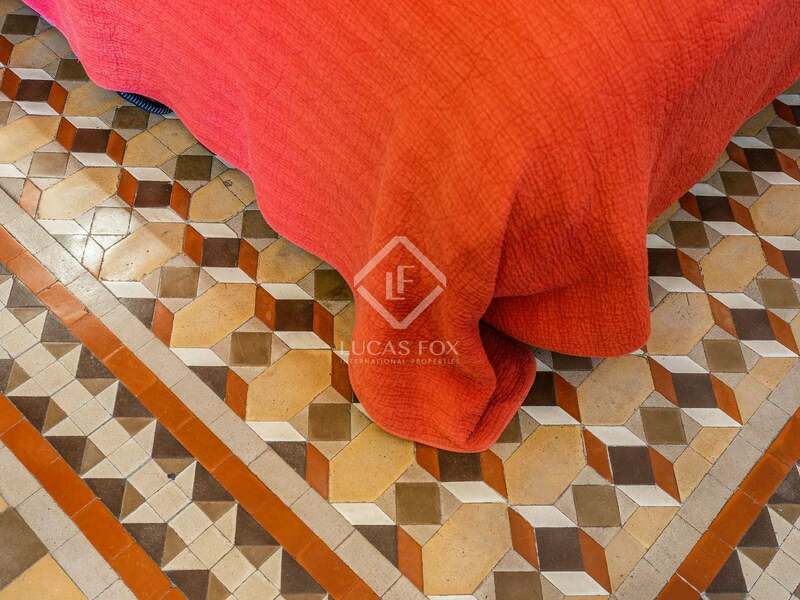 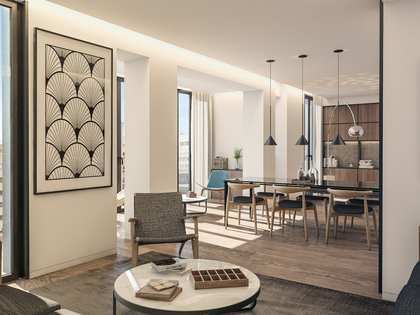 The square living room boasts Nolla mosaic flooring and attractive coffered ceilings; part of the history of Barcelona. 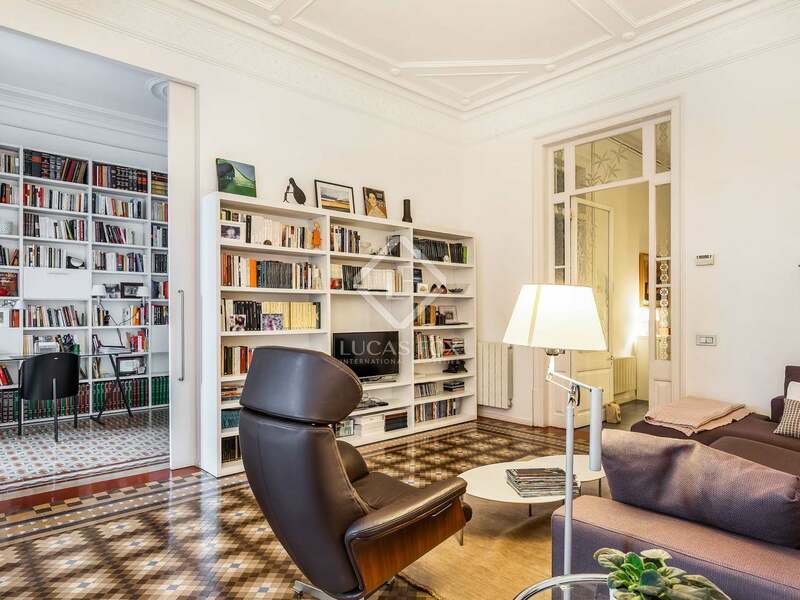 The living room leads to two bedrooms, one on each side. 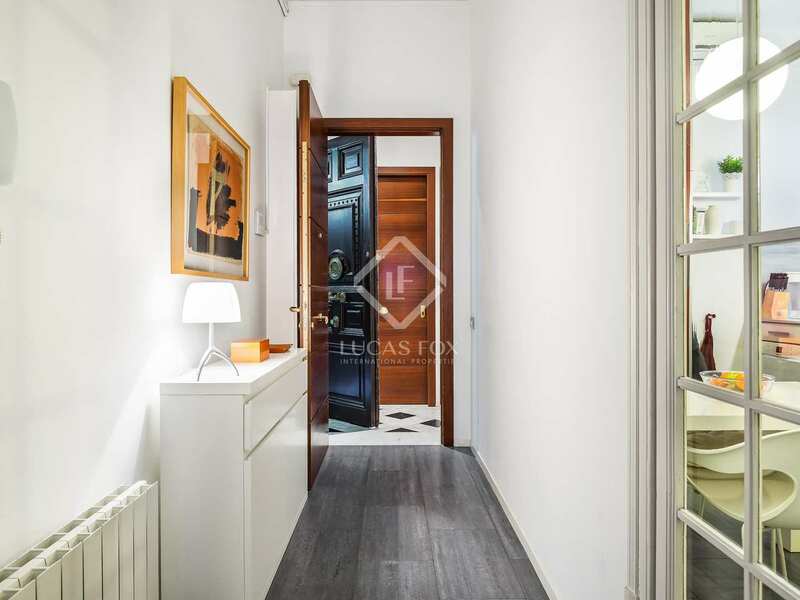 Both bedrooms are double rooms overlooking the courtyard, one has an en-suite bathroom while the other has an adjoining dressing room. 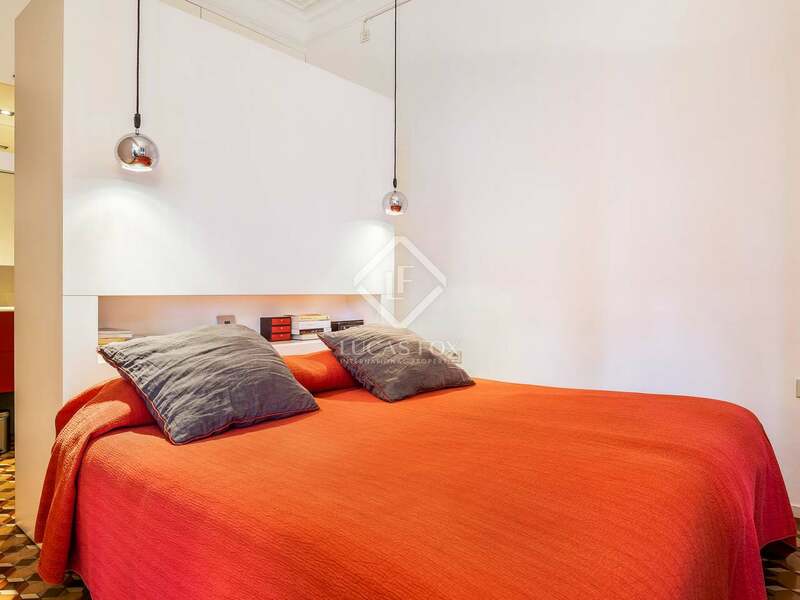 This dressing room could also be used as a bedroom. 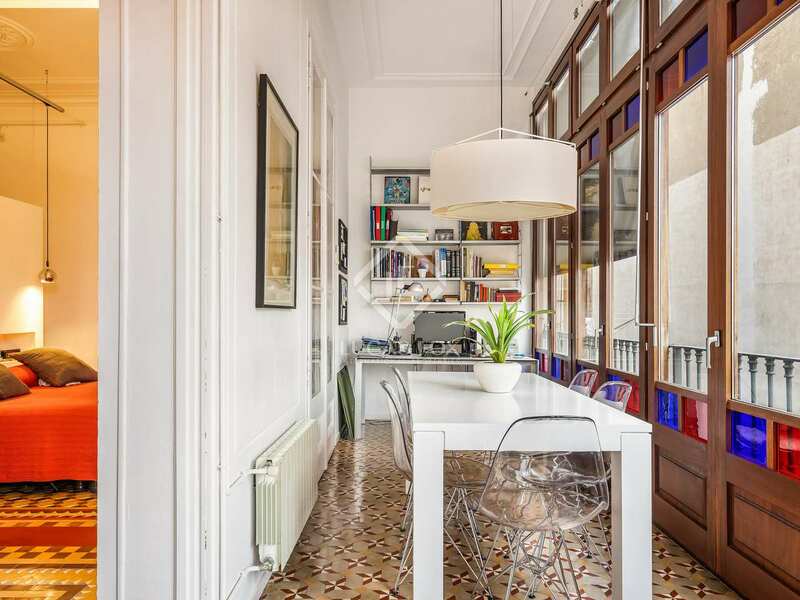 Finally, from the living-dining room we access a beautiful gallery, characteristic of the Eixample neighbourhood, with its small terrace, which runs the width of the house. 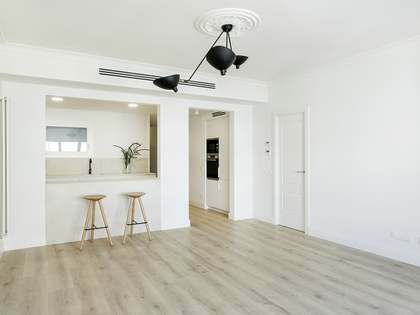 The gallery receives an abundance of natural light. 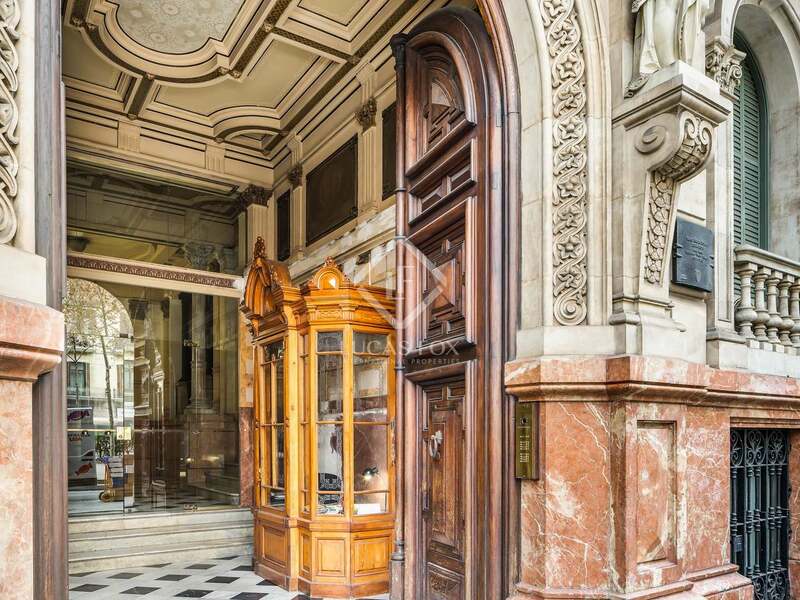 Contact us for more information about this unique property or to arrange a viewing. 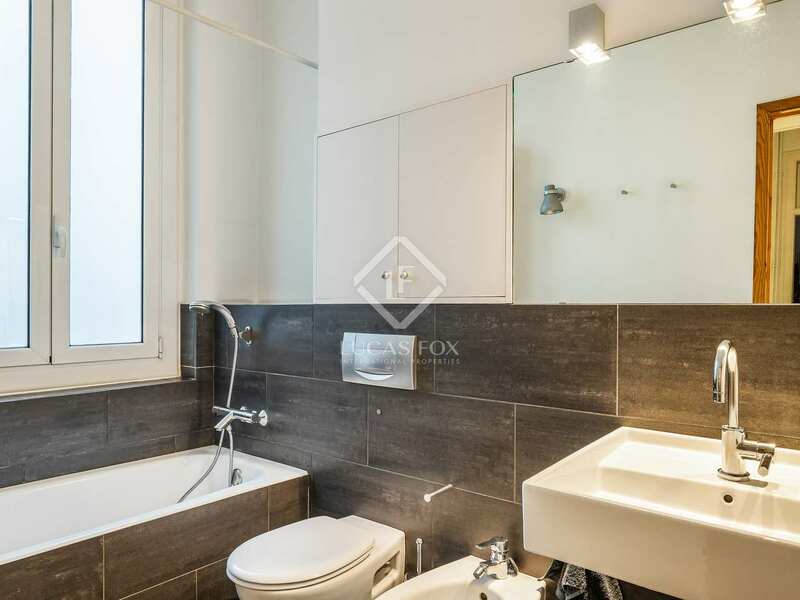 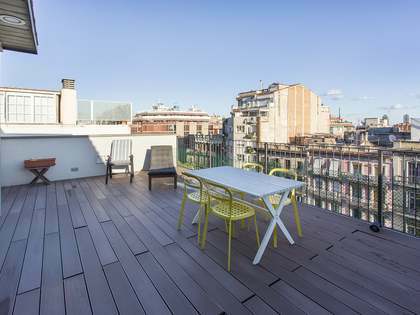 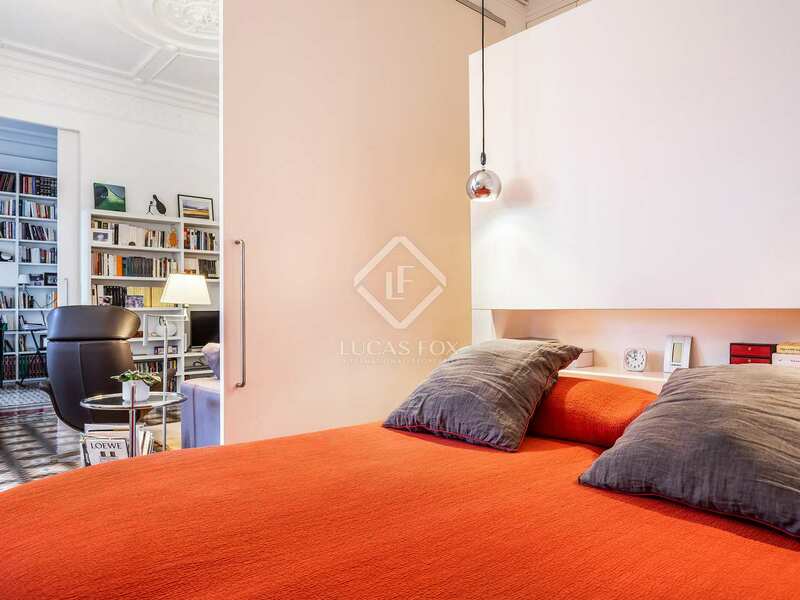 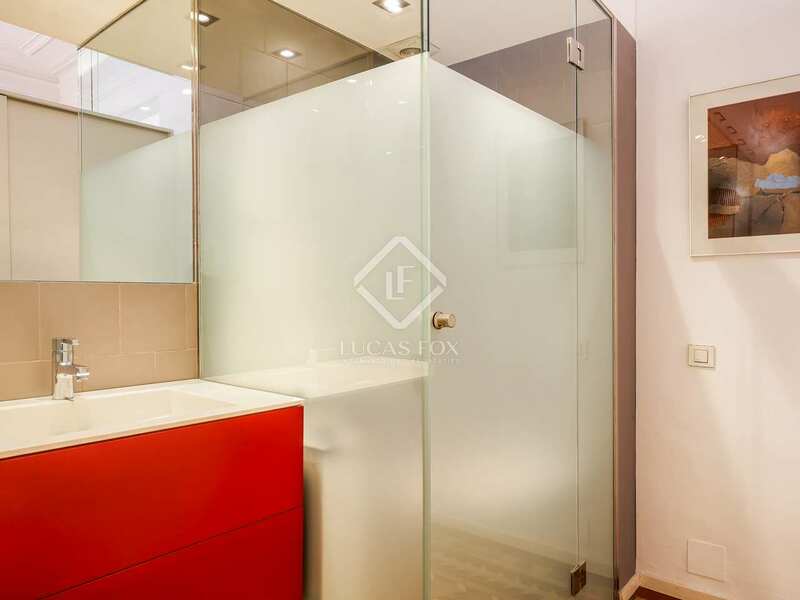 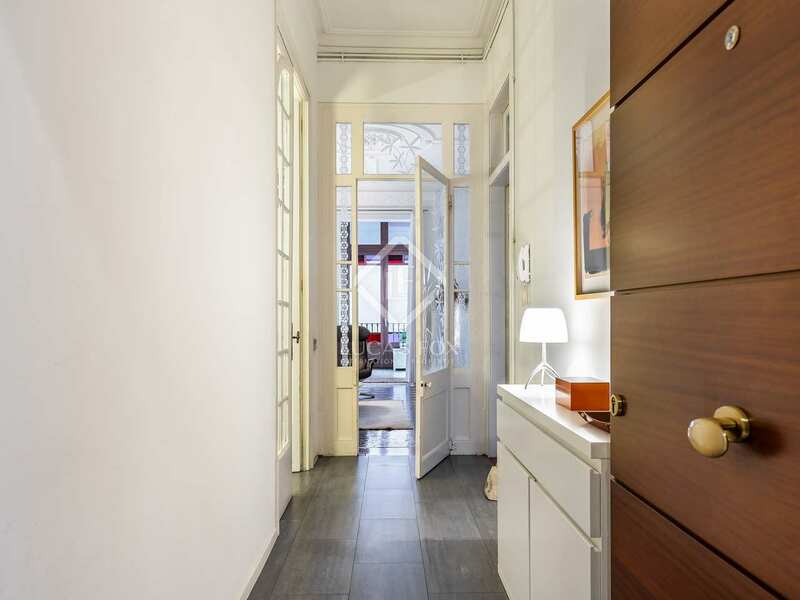 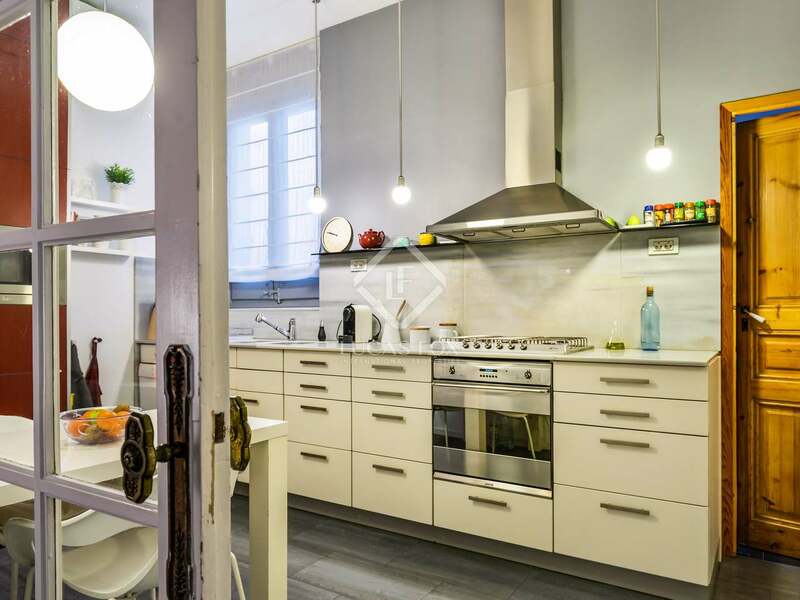 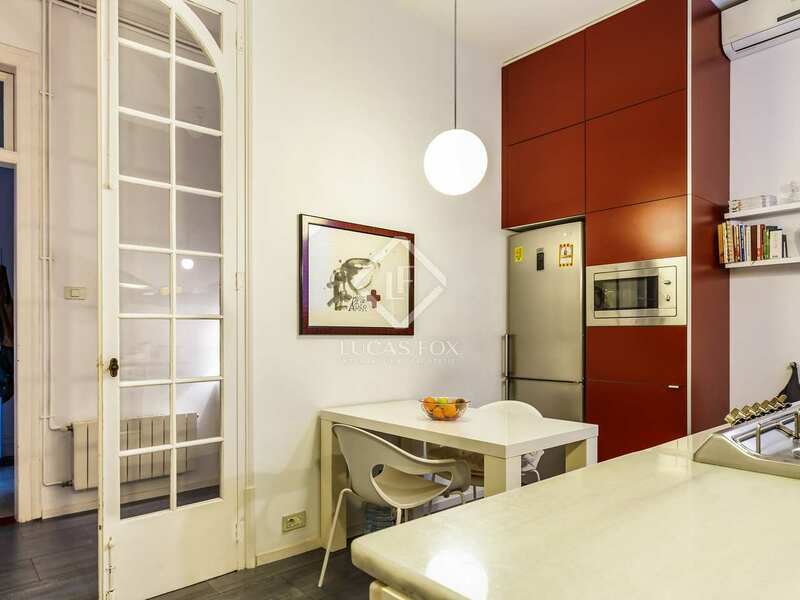 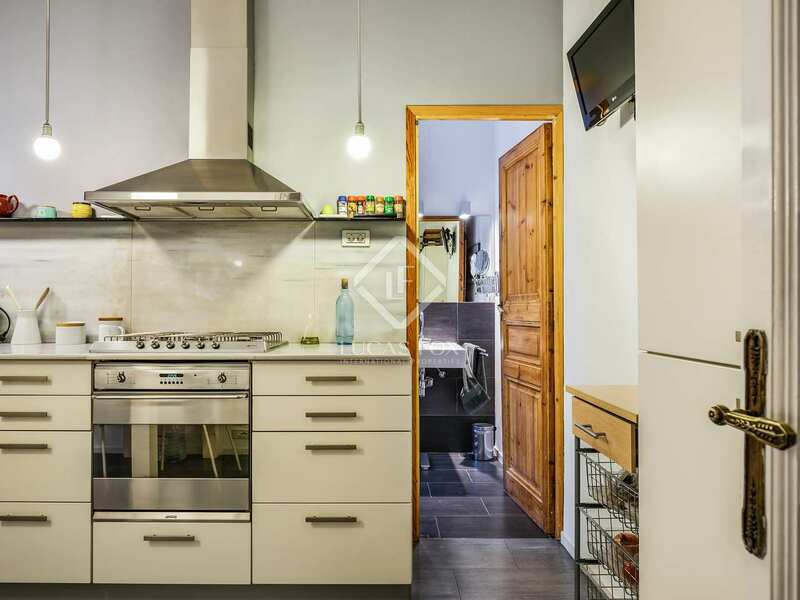 This apartment is located on Gran Via, close to Carrer de Girona. 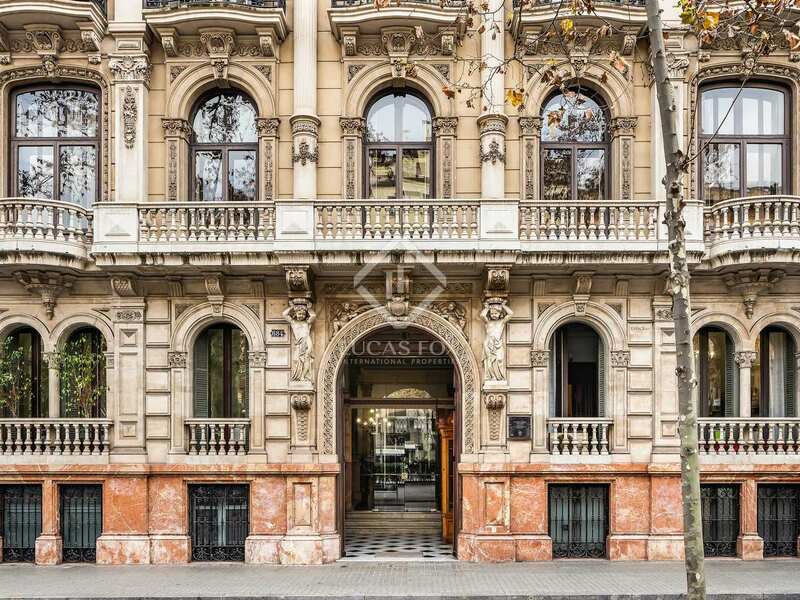 It is within the emblematic Golden Square of Barcelona, a prime area famous for its modernist buildings. 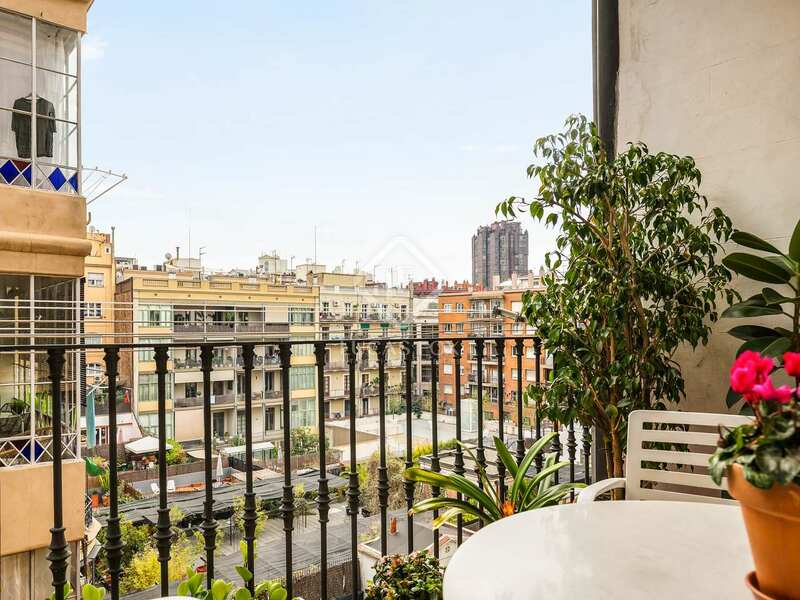 Passeig de Gràcia and Plaça de Tetuán are a few meters away from the house.